Doesn't a passage like that make you wish that it was you who had that experience (although I suspect I might have chosen different meals)! I have been pondering over the last couple of weeks exactly why it is that I enjoy reading foodie memoir type books. I think it is because they are aspirational! I wish that I could be there, or if I have been there that I could go again! Or maybe it is just that I wish that I could write about the places I do go or have been! It's the same with TV cooking shows. I love watching TV shows where they shoot at different locations, or even better in different countries. I love watching as they visit gorgeous castles, or fabulous beaches even though it tortures me because I know that I won't be going anywhere exotic, or even just different, any time soon! When I look back over my reading this year, there is a decisively French feel. I just finished reading An Immovable Feast which is all about an Australian man's life in France (review will be up in December) and Lunch in Paris about an American woman moving to France. It's also not just memoirs that give me this feeling - even well written fiction can deliver these kind of emotional longing. Die for Me by Amy Plum and Anna and the French Kiss by Stephanie Perkins both had me wishing that I was with the characters in Paris! It's not only France though. I remember longing to visit Tuscany for months after reading Under the Tuscan Sun. It's not only the travel aspect though. It's also looking at recipes or images of food and thinking that it looks fabulous and I wish I could do that or eat that! Gorgeous cakes and dinners that just have the mouth salivating just by looking at them! Why do you enjoy reading foodie books, whether they be memoirs, cook books, novels or magazines? I have a few newsy type items to share before finishing off this week! I will be sending you an email shortly to get your details and get your prize on it's way to you. Secondly........my oven (kind of) got fixed this week! There are still some further repairs to be done, but I can at least turn it on manually. It turns out I probably could have been doing this all the way along but didn't know how! In fact, I am cooking Apple Crumble as this post goes live. I must have left dozens and dozens of comments on other people's Weekend Cooking posts saying that I would try a recipe if only my oven was working. Now, I have no excuses! Thirdly - I am contemplating starting a new feature within a feature. I have mentioned before that my son is very keen on cooking at the moment. He is doing Food Technology at school and so is bringing home some food each week, but he also likes to do some cooking at home. 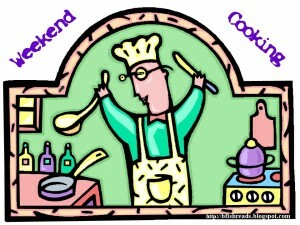 As a result I was thinking about sharing our learning to cook experiences in some of my Weekend Cooking posts. I was trying to think of a clever and catchy name - he seems to like Adventures of a Little Chef so we may just go with that! I am however a bit concerned that I will announce this and suddenly he won't be interested any more! I think the first post will go up next week! At the moment I seem to have quite a stock of ideas for Weekend Cooking posts! Hopefully I will remember them for those weeks that I can't think of anything that I want to write about! I would definitely enjoy reading those, so I hope he doesn't lose interest. On the foodie book question, I love reading all types of food-related fiction, and non-fiction, and like you, I am a big devotee of the food shows. My current favorite is a Food Network show called Chopped. I have always loved to bake, and liked making big family celebration meals; now that my daughter is grown, I do both less, and maybe I'm re-enacting those loves when I read foodie things? I love the idea of sharing the boy's adventures in the kitchen. I hope it works out. 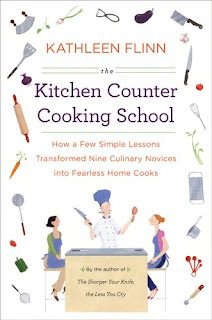 I love any kind of book that discusses food -- cozy mysteries, memoirs, chatty cookbooks, novels. For me, I think a setting or the characters in a novel become somehow more real when I can envision the food or aromas. A character who loves to hang out in diners or grabs a burger from the fast-food place is immediately different from the one who airs a bottle of red wine and sets the table with linen every night. Even if you know nothing else, you're already forming images and opinions. I'd enjoy reading about your son's adventures in the kitchen. I love food memoirs, cookbooks, and all sorts of novels where food is discussed. First off, I love that your son is getting into the spirit of cooking and wants to try to learn more at home. I am excited about seeing some of the upcoming features that you will both be bringing to us! And secondly, I love foodie books as well, and I am not sure why. 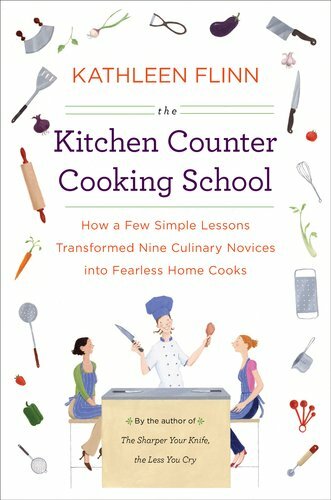 There is something that just makes me so excited about picking up a foodie book, whether it is a narrative or a cookbook that makes me so happy. 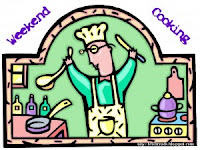 I think part of it has to do with the fact that I love to cook, and am always on the lookout for a new idea. I'd love to read your Adventures of a Little Chef if and when you start them. As for the question, I love food so that was got me started reading food books. I also like travel so if the book is about food and travel it's even better. I love the TV cooking shows too. My favorite new one is called Sugar with Duff from Ace Of Cakes. I love foodie books! I think it's just that the desire to eat good food is an universal thing. So happy to hear about your oven!! And I love the idea of your son's cooking adventures. I think what I like about such memoirs is the social life that all these countries seem to have, and I don't! Long outdoor suppers. Gatherings in town squares at night. Music everywhere. I would love to read about your cooking adventures with your son! The cookbook/memoir passage made me hungry. I love the idea of eating such fresh food in Italy or France. I just finished Anna and the French Kiss and loved her description of the baked goods she couldn't resist. I had my best clams with pasta in Venice, overlooking the a canal..oh my. Oooh, food technology, eh? Sounds like a cool project/fascination. Enjoy! Your new feature is a lovely idea! As for foodie books, you've made me really think about this. I don't cook much, but books about food are one of my biggest loves. I will even read cookbooks, if the author is the type to write a memoir-type blurb as an intro to each recipe.